You are here: Home / Entertainment / Venom Quotes – HUGE list of our FAVORITE lines from the movie! 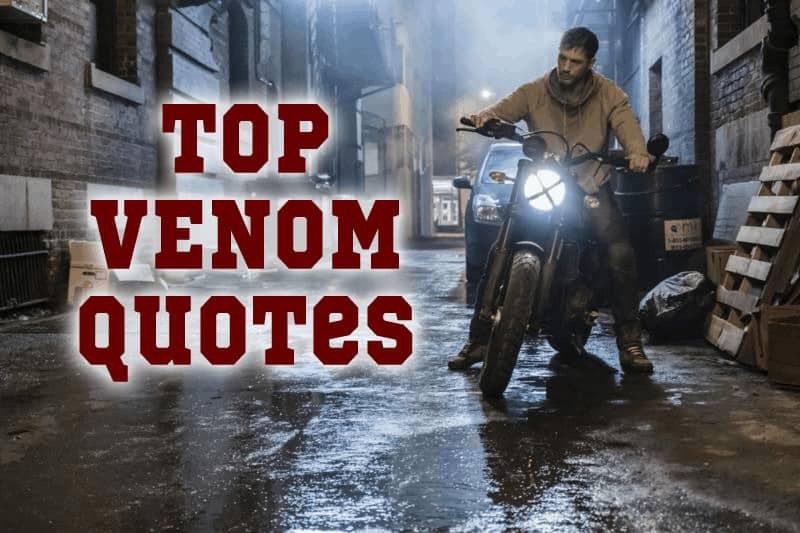 Venom Quotes – HUGE list of our FAVORITE lines from the movie! If you are looking for your favorite Venom Quotes, we have a huge list! Myla and I were both pleasantly surprised when watching Venom. We both thought it was better than we had expected. I had no clue that Venom was so funny! With that being said the movie is filled with great quotes and great lines. If you haven’t seen the movie, I would stop now in case these quotes are spoilers for you. We will also continue to grow our list of Venom quotes, if you have a favorite line that you think we should add, please let us know. We will continue to add to our list! Be sure to check out our review! Venom is NOW playing in theaters! Book your tickets today!